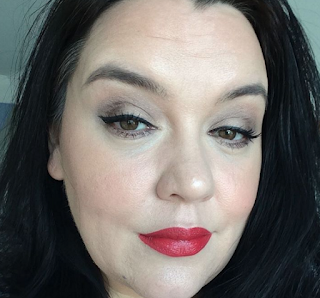 Rougepout Beauty: English Mineral Makeup Company - the mineral source of superb colour! English Mineral Makeup Company - the mineral source of superb colour! delicate hints of warm pink decorate the packaging and cute kabuki brushes that aid in the perfect application of product are included and each compact even has it's own pouch. Everything is a little piece of perfection, so lady like, in fact, practically perfect in every way. The company believes that skin deserves the very best, so mum and daughter Jeanette and Grace developed the brand which combines luxury with only the best 100% natural mineral ingredients. Two beautiful Blush and Contour compacts of colour awaited me, the packaging was a delight, I really didn't want to spoil such gorgeous presentation. Once the protective seal and sponge are removed this highly pigmented powder drifts into the air like icing sugar. 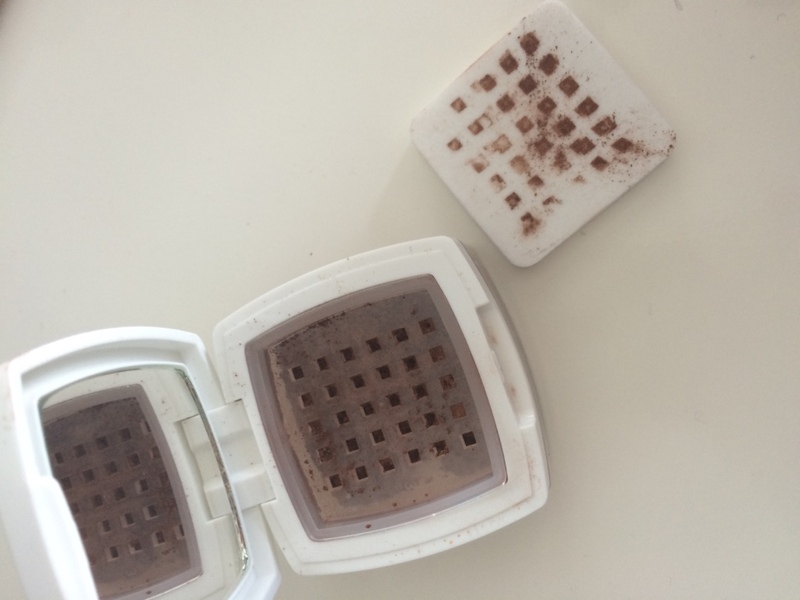 With the lightest touch and tiny amount of product the pigment shows itself, these compacts hold powder with power. Never have I found a mineral powder that packs such a powerful punch of colour with such a delicate touch. A sheer delight in every way. 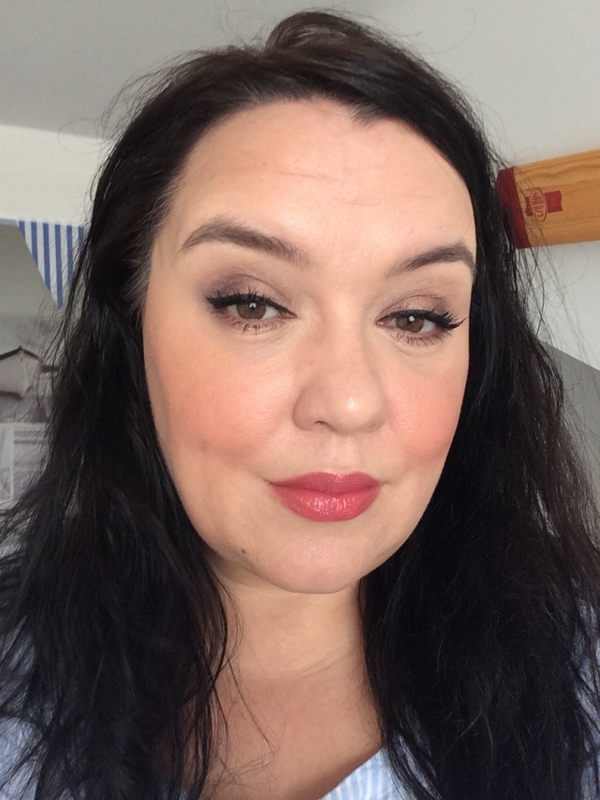 From my first use of the Rose shade from the blush and contour range I was aware of the strength of the colour, my cheeks achieved that attractive flush with barely a sprinkle of powder on the dainty but so useful kabuki brush. The colour just settled like magic on my face, a perfect warm pink, pretty in every way, smooth in application - it barely felt like powder when applying. I adore everything about this blusher, the packaging, the shade and overall a texture. 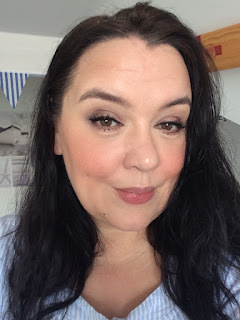 For me The English Mineral Makeup Company* has created something so beautiful and delicate, I personally feel it is better than any mineral powder I have used before. Falling completely in love with the blusher I couldn't wait to dip into the deep toned contour/blusher shade Satin Deep. The hint of warmth with a subtle golden glimmer just invites you in and this isn't only a shade for summer as I discovered. This is a powder like no other, the colour is strong, the powder is finely milled and the colour of coffee grounds. 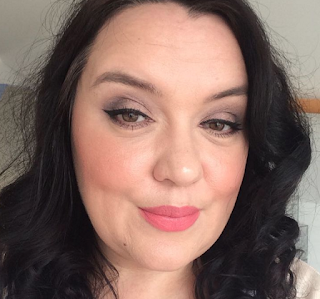 I decided to use a larger headed brush for application as I wanted to apply as I would normally bronze, along the hair line and around my face to the my chin (or chins in my case). 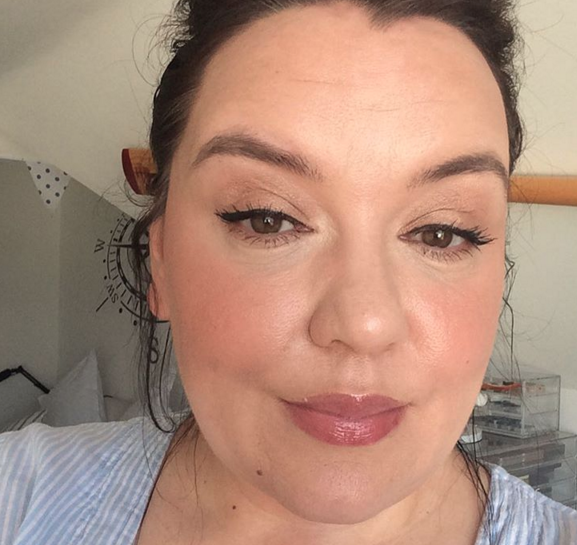 This is no normal anything, with barely a touch, the face just glows warm, it feels like air to apply, the results are subtle in a good way, it does what you want without looking heavy, orange or caked. 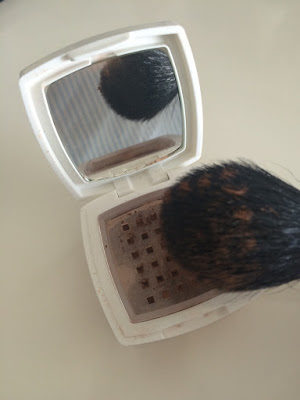 The included Kabuki brush works so well when applying the product as a blush shade to the cheeks, the head shape also makes it ideal for contouring and creating those longed for cheek bones. This is a compact of sheer powder beauty. These Blush / Contour compacts have been a delightful introduction to The Mineral Makeup Company, thoughtfully presented, the inclusion of the complimentary kabuki brush adds to the luxury of the presentation but it's the products that do the talking, so finely milled they apply like air, highly pigmented that you get the colour without wasting lot's of product, superb colour choices that flatter and are available in matte and soft glimmer finishes. If you think you know mineral makeup, try this brand, until you've brushed up on English Mineral Makeup you've not lived.